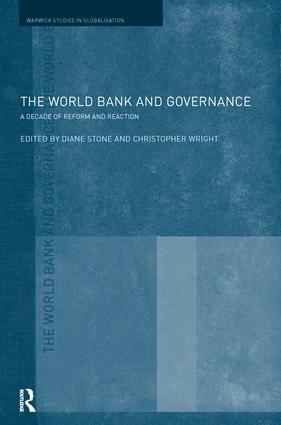 This timely book offers the first critical examination of World Bank policy reforms and initiatives during the past decade. The World Bank is viewed as one of the most powerful international organizations of our time. The authors critically analyze the influence of the institution’s policy and engagement during the past decade in a variety of issue areas, including human rights, domestic reform, and the environment. The World Bank and Governance delves into the bowels of the World Bank, exploring its organizational structure, professional culture and bureaucratic procedures, illustrating how these shape its engagement with an increasingly complex, diverse and challenging operational environment. The book includes chapters on two under-researched divisions of the World Bank: the International Finance Corporation and the Multilateral Investment Guarantee Agency. Several illuminating country studies are also included, analyzing the World Bank's activities in Argentina, Bolivia, Lebanon, Hungary and Vietnam. This volume will be of great interest to students and scholars of international relations, development, politics and economics. Partnership and the reform of international aid: Challenging citizenship and political representation?